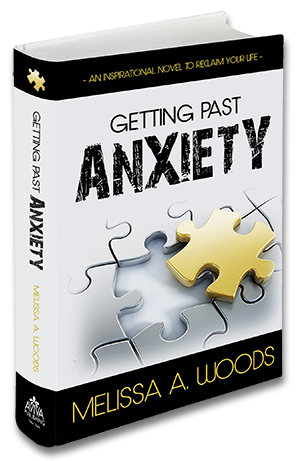 Melissa Woods' Inspirational Novel "Getting Past Anxiety"
Getting Past Anxiety is an inspirational novel designed to help you reclaim your life. Melissa Woods’ book Getting Past Anxiety serves as an inspiration for healing from any anxiety disorders, stress and depression. In its pages, readers find a connection to their own stories of anxiety and to their authentic self. This book starts the healing process and readers reduce stress and anxiety. Feel free to download chapter 5 or listen to a few chapters. Also read the book review by Stacey Chillemy on The Complete Herbal Guide. The Getting Past Anxiety book also comes an ebook and audiobook format and is available on Amazon, Audible and Barnes & Noble.